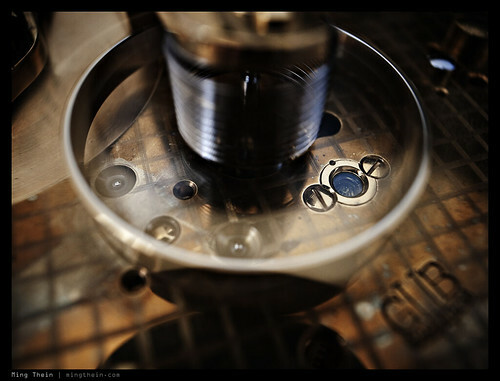 This is part two of a short series of articles about watch photography by Ming Thein. Part 1 can be found here, and part three will appear next week. 1950s GUB Deck Chronometer, Ricoh GR Digital III. Click all images for larger versions. Don’t think you need to immediately rush out to buy a DSLR, macro lens and lighting setup to capture good images. They help, but good work can still be done with a compact camera that has a macro mode, and some creative lighting and composition. Side note: every image in this article was shot with a compact camera. There are two major differences between compact cameras and DSLRs/ ILCs (Micro Four Thirds, Sony NEX and the like). The first is that almost every compact camera has a macro mode; this tells the camera to allow the lens to focus closer, and in some cases locks the lens to the minimum (i.e. widest) focal length. In every case, closest focus and maximum magnification with a compact will be achieved with the lens at its widest position. Zooming in will usually result in the camera not being able to find focus. Whilst you can typically get within 5cm; and in some cases, 1cm; you are going to have huge perspective distortion. This is a property of wide angle lenses; objects closer to the camera will have a much greater relative share of the frame than those further away. This can be useful in some cases. 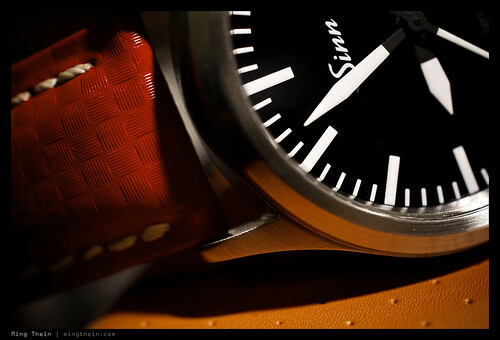 Sinn 756 S UTC. Panasonic LX3. The second major difference is that depth of field – controlling what is in focus and what isn’t – generally isn’t an issue with a compact camera, as a consequence of the small sensor and requisite optics mean much is in focus all of the time. A larger sensor camera will allow you to selectively focus on objects – and in some cases, even be unable to achieve sufficient depth of field to get the entire watch in focus at an angle without resorting to some trick optics, or stacking software. 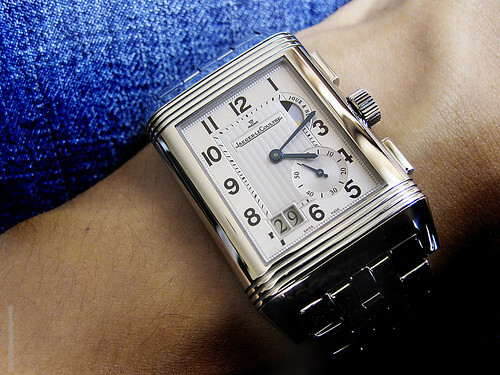 Jaeger Le-Coultre Reverso Grande GMT. Canon IXUS SD780IS. 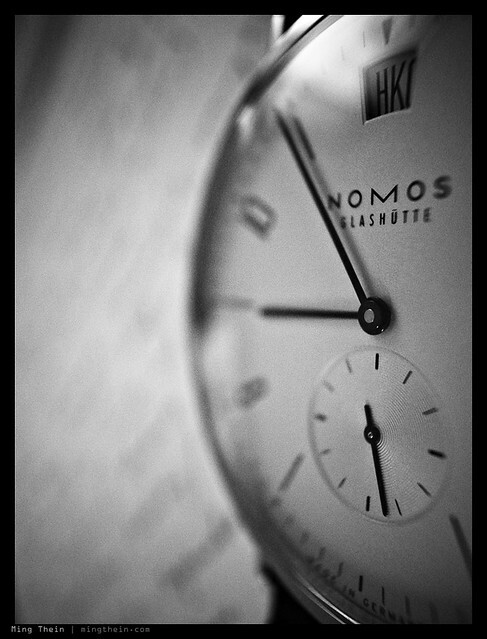 Nomos Tangomat GMT-12. Apple iPhone 4. Recall lesson three from the last article: pay attention to the light. Yes, most cameras have an on-board flash, but at typical watch photography distances, it will be too powerful and result in an extremely overexposed image. Even worse, it’s direct, undiffused and going to show every single scratch and dust spot. Once again, there are exceptions. 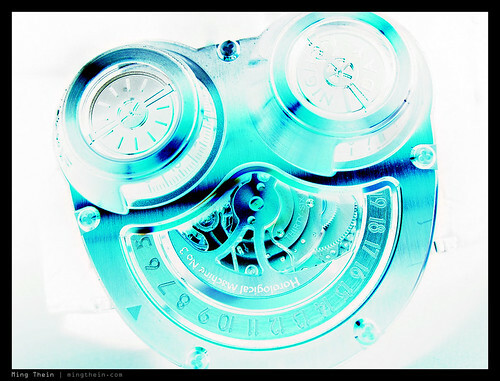 MB&F HM3. Canon IXUS SD780IS, with flash. The easiest way to take care of lighting is to find a nice, bright location where the light isn’t harsh; for instance, a white room with a large window is good. You want to start away from the window to avoid direct light (and unwanted reflections). If there isn’t enough light, your shutter speed will drop to the point that you will either have to a) increase sensitivity, resulting in digital grain and degradation in image quality; or b) get a tripod and use the self-timer. 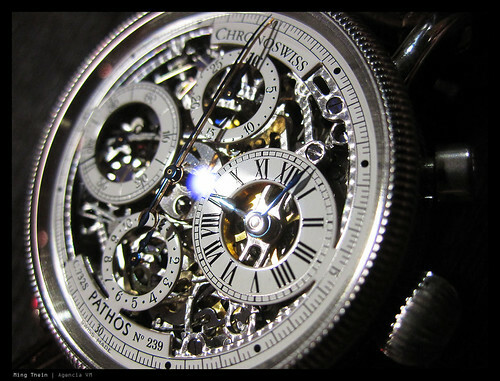 Both shots: Chronoswiss Pathos. Canon IXUS SD780IS, with a handy nearby spotlight. Once again, pay attention to backgrounds and details – things in the corner of the frame or at the edges can make or break an image. You don’t want to distract the viewer from the main subject. Make sure the watch is properly in focus and exposed; some compacts have a histogram function that will show you if your subject is overexposed – this happens if the histogram is bunched up hard against the right hand side. Remember the on-board flash? It isn’t entirely useless. Get a plain white piece of A3 paper, fold it in half, and cut a hole in it for the lens. 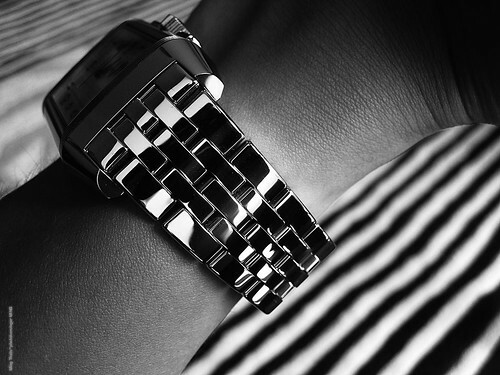 You can fold it into a half-pipe and place the watch in the middle, if you wish. Now use the flash. Compare the effect before and after: big difference! What you have effectively made is a diffuser. It helps to even out and soften the light from the flash. The white paper acts as a bonus shield to cut unwanted reflections. You might find the images a little flat, but some contrast adjustment either on the camera or in your favorite image editing software can help. 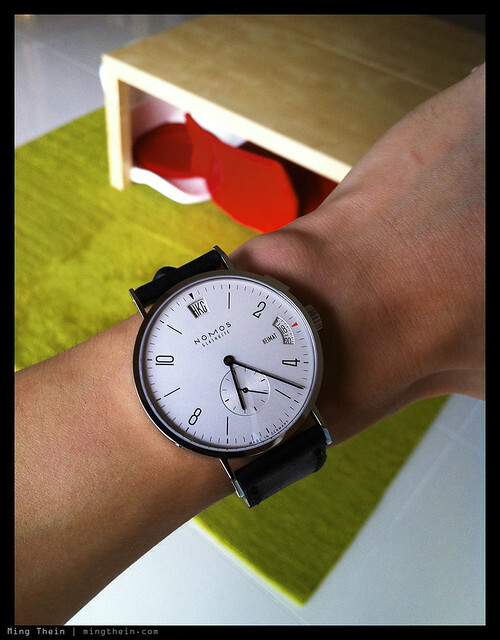 Nomos Tangomat GMT-12. Ricoh GR Digital III, with a little photoshop help. 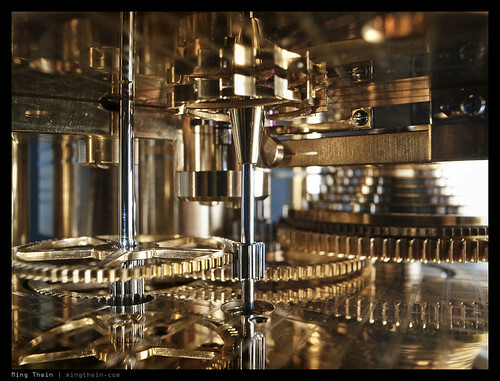 What if you already have a DSLR lying around, but perhaps not a dedicated macro lens? Well, not to worry. You might not be able to get as close as a compact camera, but the kit lenses bundled with the camera generally do a decent job and focus fairly close. Use the maximum focal length (zoom in fully), and find out how close you can go. 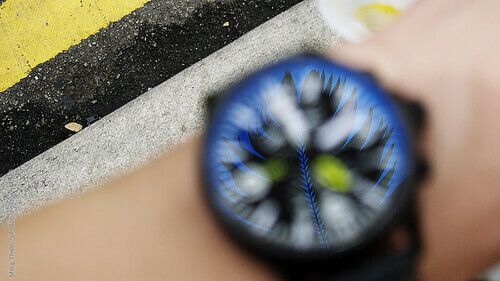 You might want to switch to manual focus, set the minimum focus distance and move the camera back and forth instead. Closing down the aperture – f number – will help to increase your depth of field. The same rules about lighting apply: find somewhere bright and diffuse, use the paper trick, or get a tripod. Sinn 556. Ricoh GXR and 50/2.5 A12 macro. 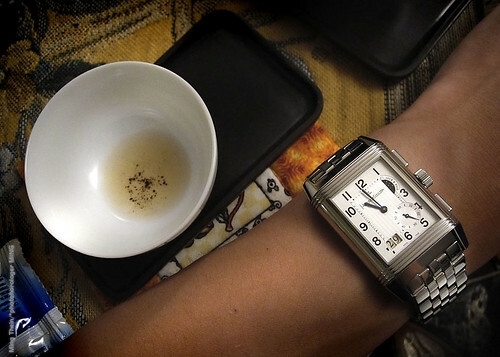 In both cases, taking a manual white balance reading off a white sheet of paper in the same location as where you intend to photograph the watch will greatly help with your color accuracy (and remove that horrible yellow cast if you have no choice but to shoot under a desk lamp at night, for instance). 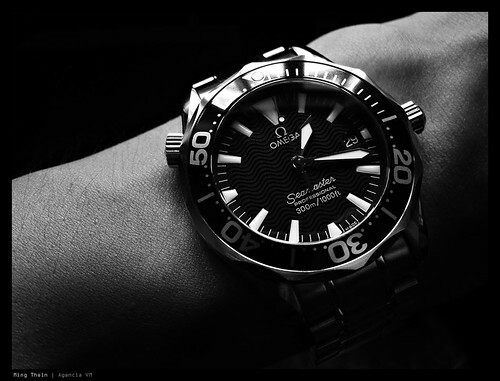 Omega Seamaster. Canon IXUS SD780IS. If all else fails and you can’t get the color right, go black and white. 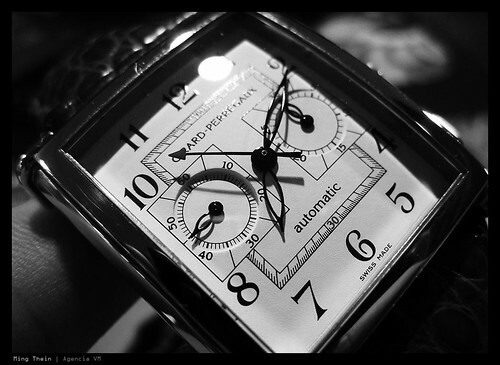 Girard-Perregaux Vintage 1945. Canon IXUS SD780IS. An important thing I haven’t mentioned is that learning to use your camera is quite critical. Familiarity with its functions and controls will make your photography experience much more fluid rather than frustrating. Regular practice is a good way to improve both your composition and familiarity with your tool. Remember, a person who has been shooting the same (now outdated) camera for the last ten years will almost always produce much better images than somebody with a new expensive toy. 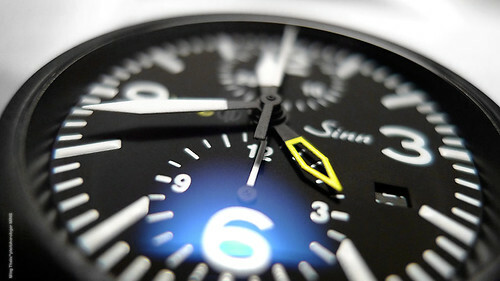 Sinn 756 S UTC. Panasonic LX3. Don’t forget the fun element!